If you are wondering how much you are going to have to pay to have your carpets professionally cleaned in Gainesville, Florida, you aren’t alone. After a while, everyone thinks about doing it because their carpets no longer look as beautiful as they once did. Plus, it is much cheaper to have a carpet cleaning service come out to your home than it is to have brand new rugs installed. How Do Cleaning Companies Price Each Job? As you probably know, homes come in lots of different sizes and shapes. As a result, the cost of cleaning your carpets might be more expensive than your neighbor’s rugs or less costly than your friend’s carpets. After all, it takes longer to clean 3,000±SF than it does to remove the dirt from 1,500±SF. 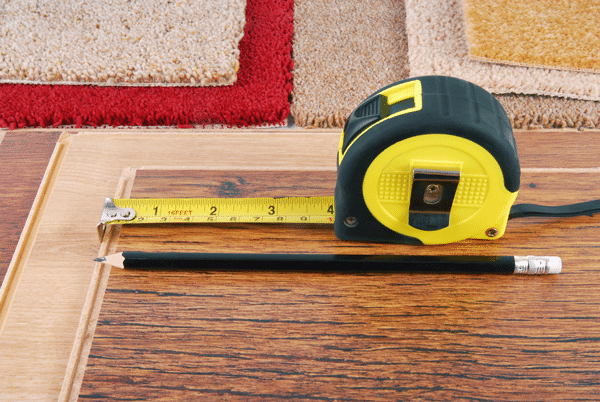 So, most carpet cleaners calculate the square footage of the carpeting and come up with a pricing estimate based upon the result. On average, current prices range between thirty and sixty cents per square foot, depending on the carpet cleaning company that you choose. Should You Trust the Face Value of Per-Room Fees? Have you ever read the fine print on any of the contracts that you’ve signed? If you haven’t done so, you really should start now. The fine print is where you will discover all of the hidden information. Some cleaning companies in Gainesville do offer a per-room fee, but you need to look at the fine print to see if any conditions apply. For example, does the price for the carpet cleaning service take into consideration the dimensions of the room? If it does, then you might find yourself paying double the fee to clean an over-sized bedroom or triple the fee to cover the cost of cleaning the rugs in a great room.